Skin ailments, even when they don’t pose a serious health hazard, are hard to handle because they don’t just impact the body but also the mind, not that other ailments don’t have mental and emotional repercussions. However, I truly believe that only one half of the suffering caused by dermal disorders is attributed to the physical problems they cause, like the pain, swelling, itching and pricking. The other half can squarely be pinned on just how cringe-worthy they are to look at. I mean, surely nobody enjoys the idea of being ogled at because they are suffering from a gross-looking skin affliction. And with statement, I believe I have set the perfect stage to introduce our skin problem of the day because this issue has literally set a new standard for being nerve racking. This skin ailment is taxing for the patient as well as everybody around. Hi there All, Olivia is back in the building with her EO treasure box and as always happy to share the gems with you! Right now, I am going to talk about what I call a dastardly disease. I am describing it as such because this is an affliction that picks on the lil’ ones. Now, there are a lot of illnesses out there that don’t even spare the kiddies. But the critter in the spotlight today brings a whole new low to the table because it primarily picks on children. That said, we all know that the fastest way to bring a household to a grinding halt is to put a sick child in it. The sheer trauma of handling an irritable child, who is obviously in discomfort, is multiplied by several manifold when the disease in question is also highly contagious. Impetigo happens to be all that and more! The ailment derives its name from the Latin word for “attack” possibly because it attacks infants and toddlers with menacing speed. Ominously nicknamed the school rash, impetigo spreads quickly from one child to several others. What makes this ailment a nightmare for parents is that the germs lurk around in all the places that kids frequent; from the park to the day care center and from schools to indoor play areas. One of the most common skin ailments to strike children, impetigo is responsible for more than 10% of all pediatric visits in the country each year. At any given time, over 160 million children are suffering from the disease worldwide. And what is truly troubling is that despite the advances in medical science, the number of kids who suffer from the condition has held steady for the last several decades. Impetigo is a superficial, bacterial skin infection that leads to the appearance of sores or blisters. Although adults too can suffer from it, generally, it’s the kiddies (between the ages of 2-6 years) who are most at risk. The infection is caused by staph and strep bacteria (staphylococcus and streptococcus) and it typically impacts the skin on the face, neck, arms, groin and the legs. Usually, the friendly bacteria on the skin hold these critters out, but a cut, bug bite, rash, or any kind of skin opening creates a passage for these germs to get to the deeper layers of the skin. This is called a secondary infection. However, often impetigo also strikes when there are no skin lesions that allow the germs to enter. This is known as a primary infection, and nobody is sure about how the germs manage to get through the friendly fauna on the skin and then through the body’s defense system. Nonbullous: This is most common form of the ailment, with as many as 70% of all cases of the condition involving this type of infection. A highly contagious form of the ailment, nonbullous impetigo or impetigo contagiosa is usually attributed to a staph infection. But in about 5-10% of the cases, it can also be caused by strep alone or a combination of the two bacteria. The first sign of the infection is the appearance of red dots around the mouth and the nose. These quickly turn into a cluster of raised pustules. The lesions look like pus-filled pimples or herpes sores. The surrounding skin takes on an angry red appearance, but the condition is not painful. It is, however, incredibly itchy. So, it can be hard to keep tots from scratching away at the blisters with wanton abandon, and in the process, spreading the germs to other parts of their body and to everybody and everything they touch. Even if they are not scratched, the pustules eventually burst leaving behind a yellowish-brown crust. As the skin heals, the crust falls off, revealing red spots underneath. Usually, these heal with no scarring. Nonbullous impetigo rarely occurs in children below the age of 2 years. Bullous: Less contagious than the other forms of the condition, bullous impetigo is attributed to a very specific strain of staph bacteria. 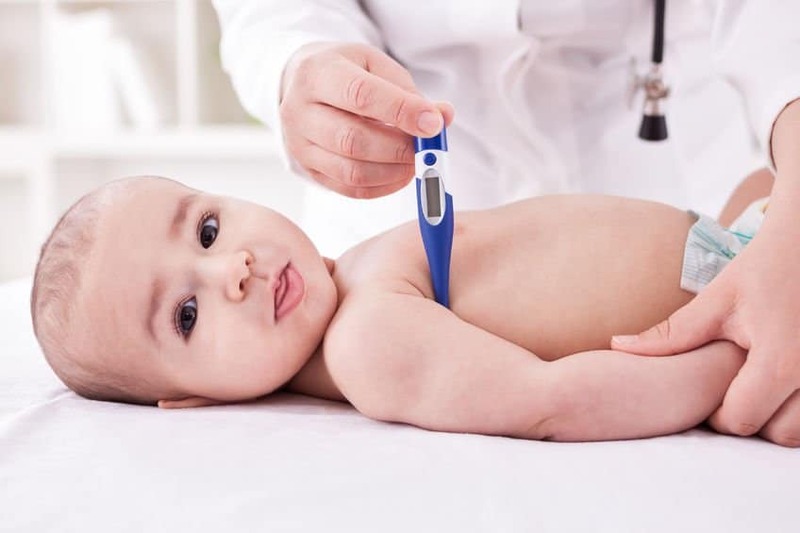 It generally occurs in children who are under the age of two years, although older children and adults also run the risk of contracting the infection, when exposed to a host or a carrier. The distinguishing factor of bullous impetigo is the appearance of large, fluid-filled blisters that look like burn blisters, but are flaccid. The blisters typically appear in the neck folds or the diaper area in newborns and on the arms, legs or the trunk in older children. The fluid inside the fragile blisters or bullae quickly turns cloudy and dark and the lesions burst open. Although there is no crust formation in this form of impetigo, the ruptured bullae do leave behind a red and scaly or even tube-like rim with a moist base. Following this, the skin takes on a brown and lacquered appearance that looks like scalded skin. The condition is not painful but can cause severe itching. In case of extensive lesions in infants, the blisters may be accompanied by fever, swollen lymph nodes, diarrhea and weakness. Bullous impetigo leads to minimal or no scarring once the scabs/scaly skin layer falls off. Ecthyma: Of the three forms of impetigo, this is the most serious. In fact, nonbullous and bullous forms of impetigo may progress to ecthyma if not treated in time. The invading bacteria, in this case, can either be staph, strep or both. The biggest problem with this form of impetigo is that the infection reaches the deeper layers of the skin. Usually, the blisters start off as small pus-filled sores on the ankles, feet, thighs, buttocks or legs. But they quickly graduate to deeper and larger blisters that can have a diameter of more than one inch. Because the deeper dermal layers are involved in the infection, ecthyma blisters are painful and have significant pus accumulation in them. Furthermore, ulcers form beneath the blisters. When these blisters rupture, they leave behind a thick and hard crust. The skin surrounding the blisters turns reddish-purple owing to the extensive inflammation and the ulcer that is still wet and oozing underneath the hard crust. Because the wound is deep, it takes longer to heal and often results in scarring. Swollen lymph nodes frequently accompany this form of impetigo. 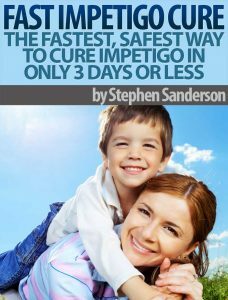 Click Here To Order Fast Impetigo Cure And Be On Your Way To Cure Impetigo In Less Than 3 Days! How Do You Keep Your Kids Safe When Impetigo Germs Lurk Everywhere? The most important thing to understand is that anybody can be a carrier of impetigo-causing germs. Nearly half the general population carries staph and strep in their nasal cavity, while another 20% have these germs lurking in their genital area. All of these individuals are blissfully unaware of the critters colonizing their skin because there are no symptoms involved. Unfortunately, there is no clear explanation as to why and how these critters manage to cause skin infections in some people while others walk about with them on their skin without any ill-effects. The only bits of good news is that it takes about 10 days for the first signs of impetigo to show up after colonization. This means, you do get some time to kill these germs before they cause harm. So, let’s talk about what you can do to keep this ailment at bay. This has been discussed above. So, if your child does have a nick or a cut or a bug bite, and kiddies are notorious for coming home with these, get proactive with the home treatment. Disinfecting the wound, however minor it is, and keeping it clean will help to keep these germs away. Body lice, scabies, and fungal skin infections also create a gateway for these bacteria to get to the deeper dermal layers. So deal with parasites and parasitic infections aggressively instead of letting them run their course. I cannot stress enough on this for both the host and the adults around the kid/kids suffering from the condition. Most parents truly have a lot on their plate, and it is easy to miss a hand wash. Let me illustrate my point with the help of the results of a study. Through this study, it was found that child caretakers (including parents), who went through an orientation program on the importance of hand washing, had between 40-50% lower instances of impetigo in their group. So, turn hand washing into a habit in your household that should be inculcated by all, regardless of age. If getting kids to wash their hands is hard, even that one bath a day is harder. But, cleanliness is truly your first line of defense against a whole host of ailments, including impetigo and other types of skin infections. If your child has been in physical contact with a host, a disinfectant bath is needed on the double. In fact, continue with the disinfectant bath routine for 5-10 days after exposure. Ditto for when you hear about a possible outbreak of impetigo at the school or in your area. If your child is suffering from impetigo, I have tips on containing the infection coming up later in the article. Caution: Impetigo Ahead – What Are The Factors That Increase The Risk Of Contracting Impetigo! Children in the age group of 2-6 years are susceptible to suffering from nonbullous impetigo. Kids in play groups or day care centers have a greater risk of exposure. There is a high risk of infection in warm and humid weather. The ailment is common in countries with tropical climate. Children and even adults who indulge in contact sports have a high risk of exposure. Those who have a compromised immune system or suffer from an ailment that impacts the immune system, like HIV, have a greater risk of suffering from the infection. 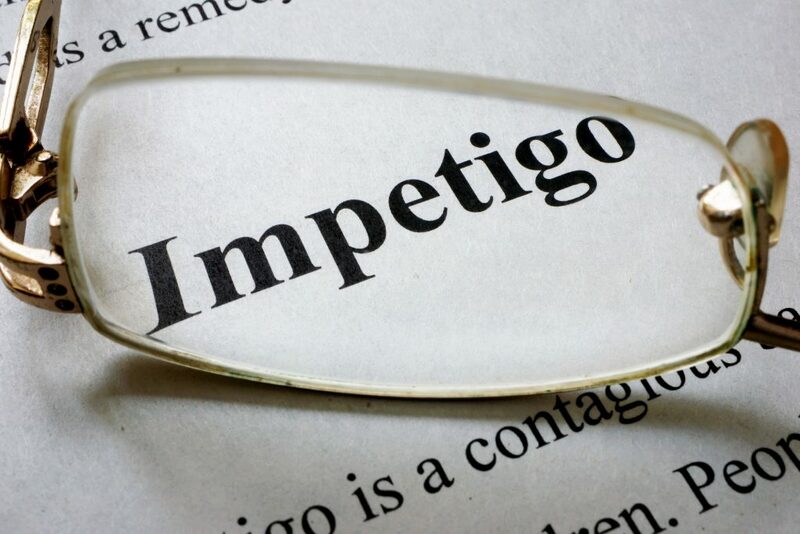 Individuals who have diabetes can develop complications due to impetigo. Those who are undergoing dialysis have the highest risk of suffering from impetigo related, life threatening complications. Kids or adults, who have suffered from sunburns or burn wounds, are at risk. Viral infections such as chickenpox and herpes simplex make the host vulnerable to bacterial infections like impetigo. Any skin problem that causes itching like contact dermatitis can lead to impetigo. When Should You See A Doctor For Impetigo? Blisters are the most visible symptom of the condition, and the infection seldom lasts for more than 2 weeks (bullous and nonbullous). However, you should seek medical attention if the sores worsen over a span of 5-7 days, instead of improving. You should definitely see a doctor if the lesions are small pus filled sores that are very itchy and burst to form a thick, hard and dark brown crust. These can be signs of ecthyma. Moreover, if the blisters are accompanied by one or more of the symptoms listed below, it would be best to seek medical advice promptly. Any changes in urine output or color. Extensive spread of the sores all over the body. Swelling in any part of the body. Painful and swollen lymph nodes. Unexplained nausea and headache with the sores. How Will Your Doctor Treat Impetigo? Doctors generally opt for prescription strength topical antibiotics for nonbullous impetigo that is confined to one part of the body. The preferred option is bactroban (mupirocin) but bacitracin/neomycin is also prescribed by some doctors, while retapamulin (1%) is often used for methicillin-susceptible strains of both bacteria. 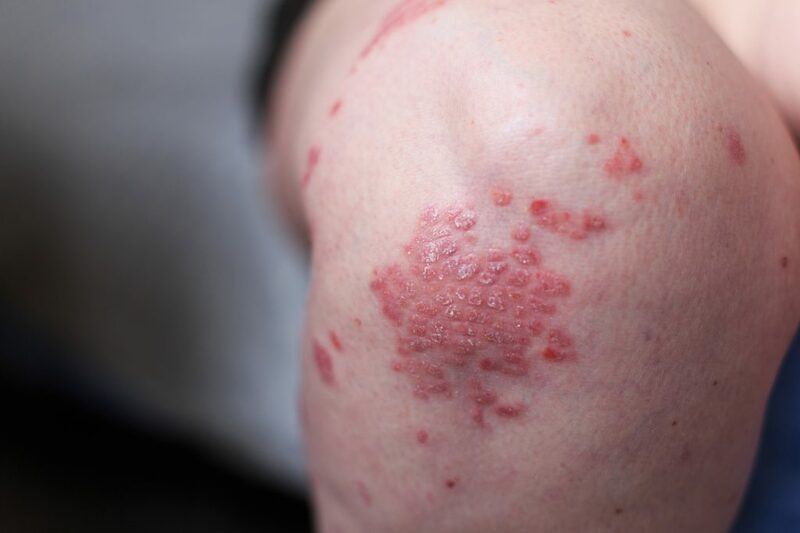 Although mupirocin is proven to be as effective as oral antibiotics, topical antibiotics are not tolerated by some and rarely used when the infection is extensive and systemic. The main problem with mupirocin is that it is fast headed down the road of bacterial resistance like erythromycin, which no longer works on these microorganism. Even when the drug does work, there is the ever present risk of side effects such as nausea, increased oozing of the blisters/ulcers, burning or stinging pain at the site of application, dermal dryness, redness or tenderness and swelling in the area of treatment. Diarrhea, although rare, is also another possible side effect of the antibiotic treatment. These are generally considered stronger than topical antibiotics. Hence, they are often used when the infection is more serious. Oral antibiotics are usually administered in the form of pills and the most common meds for impetigo include Augmentin (Amoxicillin/clavulanate), Ceftin (Cefuroxime), Dynapen (Dicloxacillin) and others. The use of oral antibiotics carries a heightened risk of side effects such as nausea. But the biggest problem is that there is some indication of an antibiotic resistant strain of staph involved in impetigo infections. In this case, the use of antibiotics won’t help but may cause harm. Impetigo Is Not Your Regular, Run Of The Mill Skin Infection – Health Issues Associated With Impetigo! This is a life-threatening ailment in which the blood vessels that serve the kidneys swell up due to inflammation. 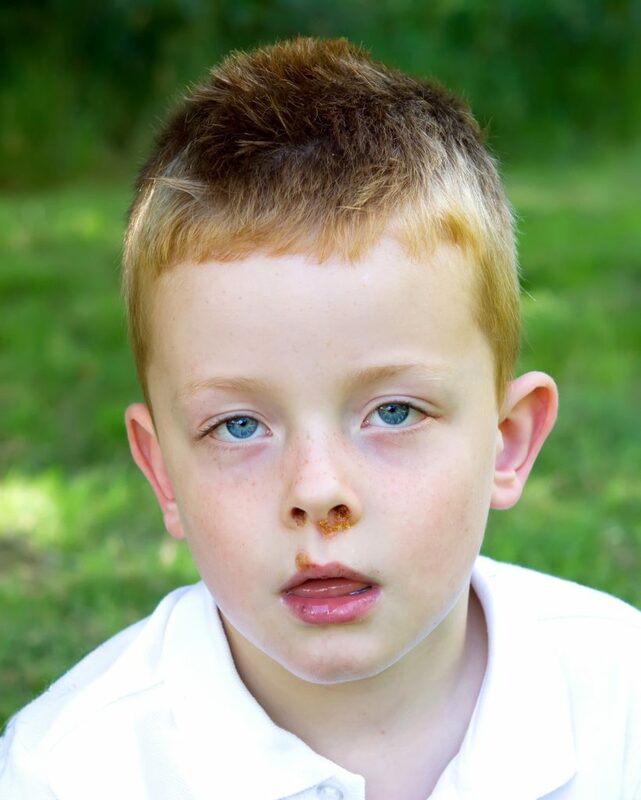 Approximately 1-5% people suffer from this disorder after a tryst with nonbullous impetigo. This is another inflammatory disease that is caused as a result of impetigo but instead of the blood vessels, in this case, the lymphatic channels get inflamed. This is a more dangerous form of the infection, which involves the tissues that lie underneath the skin. Often the infection spreads to the blood stream from these deeper muscle layers. An extremely dangerous form of the infection, in this ailment, the critters find their way into the blood stream and reach all the vital organs of the body. Sepsis often leads to multiple organ failure and is a life threatening condition. This is a rare infection that involves streptococcus pyogenes bacteria. It is a serious childhood illness, with kids in the age group of 5-15 years most at risk of suffering from it. Guttate psoriasis is the aftereffect of a skin infection. It can last for several weeks or months and presents itself as small, red bumps/lesions all over the skin. The condition is serious and most at risk are patients below the age of 5 years. The release of exotoxins due to the infection causes the skin to take on a scalded look. 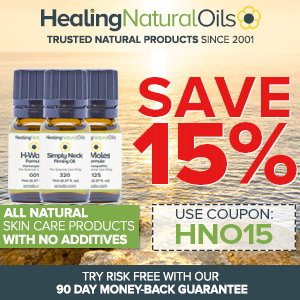 Why Use Essential Oils To Treat Impetigo? 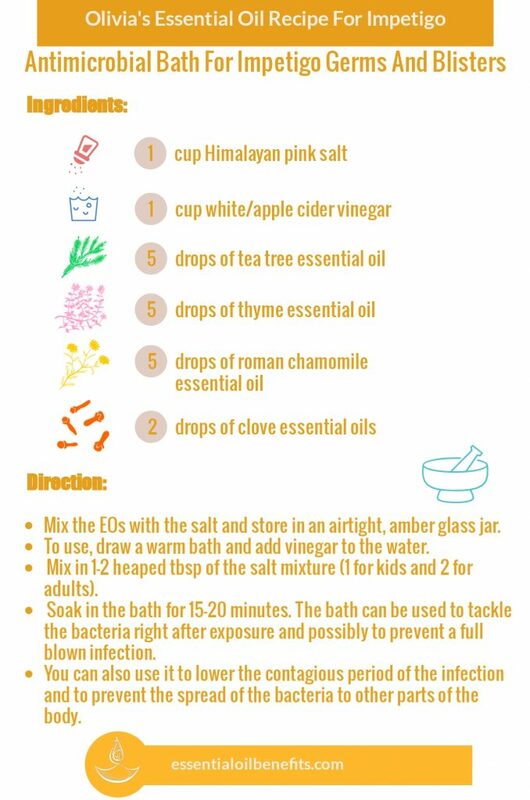 Essential oils not only deal with the bacteria that cause impetigo but also tackle all the symptoms of the infection, including the after effects. For starters, essential oils can combat all sort of infection causing critters, including bacteria. I am talking even about those strains that are resistant to most antibiotics. But, that is not where the benefits end! Any kind of infection elicits an immune response plus impetigo, in particular, is caused by the release of bacterial toxins. 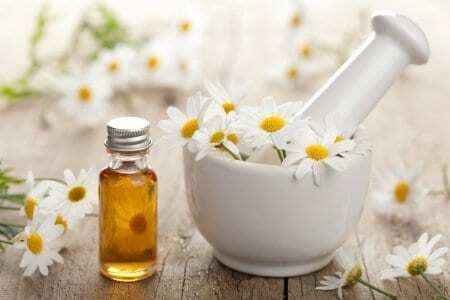 Now, essential oils are, without any exaggeration, the Holy Grail, when it comes to anti-inflammatory substances. These potent plant extracts tone down the inflammation-causing immune response without impacting your body’s ability to fight off the bacterial invasion. 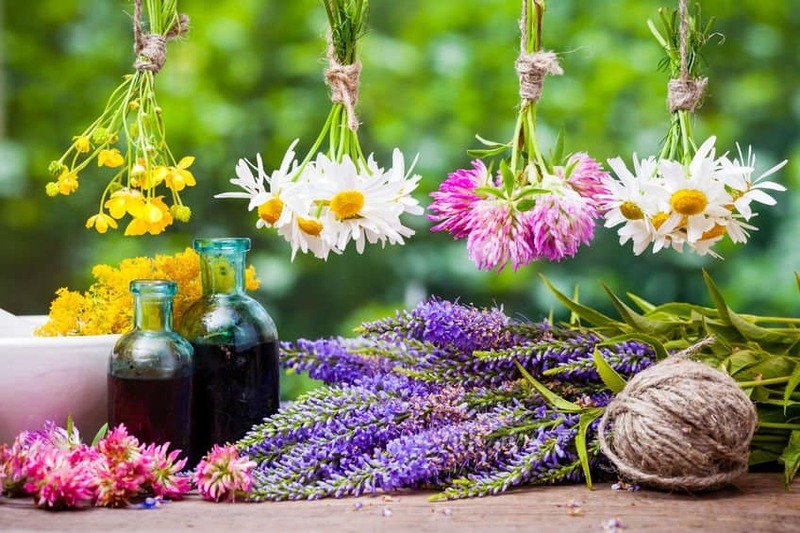 In fact, essential oils boost the ability of your immune system to deal with infections, while offering help from the outside by killing all the critters they come in contact with. The calming and antioxidant effect of these oils helps to neutralize the toxins and the damage they have done to the dermal layers. Moreover, they speed up the natural healing process, which means that the sores dry up faster and disappear without leaving behind scars in their wake. And if all that is not enough, the warming and cooling properties of these oils helps to deal with the maddening itching that is a hallmark of impetigo. A powerhouse of anti-inflammatory and antimicrobial properties, peppermint EO also offers soothing coolness, which works exceptionally well on the discomfort created by impetigo. 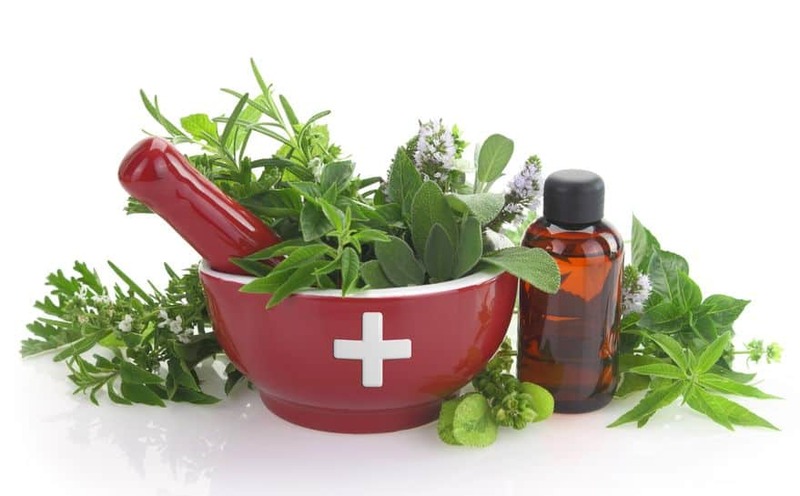 Moreover, the powerful combination of menthol, carvacrol and camphor in the oil is effective against most strains of staph. Long been used to treat skin problems, myrrh EO offers remarkable anti-inflammatory and healing benefits that can help to speed up “after-infection” recovery. The oil soothes irritated skin and boosts cellular turnover, which lowers the risk of hyper pigmentation and scarring. Nicknamed “the healing oil” in its native Madagascar, this plant extract is gentle on the skin but tough on diseases causing critters. Think of it as a milder version of tea tree oil that also boasts of vulnerary properties that help in faster wound healing. This one is a veritable classic when it comes to dealing with skin infections, owing to its antimicrobial and anti-inflammatory properties. 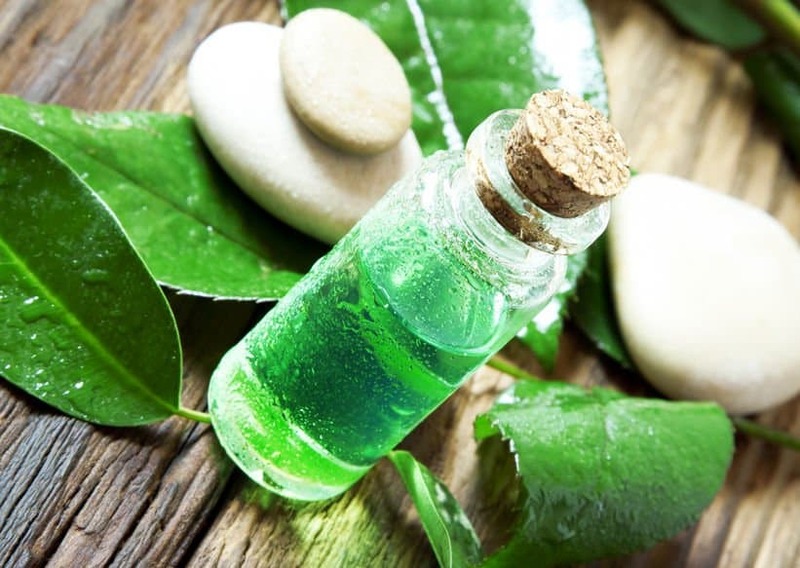 Tea tree EO can be used to both prevent and treat impetigo. Moreover, the oil helps to rapidly contain the infection once impetigo hits. As far as germ fighting abilities go, few natural and manmade substances can beat thyme EO. Thymol, which is a major constituent of this oil, can wipe out colonies of bacteria with relative ease. In fact, this compound not only works against strap and staph infections but also has the ability to target all types of microorganisms. This antioxidant healer also happens to have boat loads of both thymol and carvacrol, the antimicrobial compounds that give EOs their ability to fight off infections. Moreover, oregano EO also boasts of anti-inflammatory properties, which help to deal with the pain and discomfort caused by skin infections. Yes folks, we are back to talking about this legendary, sweet smelling oil. Lavender EO is both the iron fist and the velvet glove needed to fight off bacterial infections. In addition to its germ killing powers, you will also benefit from its soothing and healing properties, which quickly tame inflammation and speed up recovery. Plus, you get the added benefit of the enticing aroma, which is potent enough to relax a sick child. If you thought manuka honey was good, wait till you try the essential oil derived from this plant. Actually, the honey owes its antimicrobial and anti-inflammatory properties to the tiny amount of manuka EO in it. So, you can imagine what the volatile extract from this plant can do. It staves off infections as effectively as thyme and oregano EOs and it increases the turnover of dermal fibroblasts, which helps in rapid wound healing. Azulene, the compound that gives this oil its characteristic blue color, also lends it the ability to tame inflammation and fight infection. Known for its astounding skin benefits, this oil promotes rapid wound healing by boosting the turnover of the dermal cells. The essential oil and the golden spice that it is derived from have both long been in use as antibacterial and healing ingredients in Ayurveda. Curcumin, the active compound in this oil, lowers inflammation and aids in the faster removal of toxins. An astringent oil that fortifies and regulates the immune system, turmeric EO can help to treat all stages of impetigo. Apart from these volatile extracts, your pick of the carrier oil will also make a difference to the effectiveness of your blend. You can add to the antimicrobial and anti-inflammatory properties of the EOs in the blend by using carrier oils of neem, tamanu and calendula which bring their own healing properties to the table. Mix the EOs with the salt and store in an airtight, amber glass jar. To use, draw a warm bath and add vinegar to the water. Mix in 1-2 heaped tbsp of the salt mixture (1 for kids and 2 for adults). Soak in the bath for 15-20 minutes. The bath can be used to tackle the bacteria right after exposure and possibly to prevent a full blown infection. You can also use it to lower the contagious period of the infection and to prevent the spread of the bacteria to other parts of the body. Mix the oils in a small glass bowl and add them to a spray bottle. Top off with the hydrosol and add in the grapefruit seed extract. Put the spritzer cap back on and give the bottle a vigorous shake. Spray directly on the affected parts but do not let the fluid drip. Instead, wipe the wayward droplets with some tissue. This blend can be used as an antiseptic wound cleaning liquid and also as a healing and hydrating fluid. Pour the aloe vera gel into a bowl and add the calendula extract to it. Mix and then add the essential oils to this blend. Stir the ingredients vigorously till the oils get dispersed in the gel. Store in an airtight, dark glass container under refrigeration. The blend lasts for a week. Give the blend a whisk before using. Apply using Q tips on all affected parts and let it stay on the skin for 2-3 hours. Then, wash it off with warm water. Mix the carrier oils in a glass bowl and add the EOs to the blend. Stir using a wooden spoon or chopstick. Transfer the blend to a dark colored glass bottle and store away from direct light and heat. Apply the oil mixture on the blisters using some cotton wool or Q tips. Do not forget to wash your hands after application. For best results, use this healing blend 2 times a day. Wipe the affected parts with an antiseptic fluid/healing spray given above or just warm salt water and then apply the blend as required. Mix the oils and store in a dark glass bottle. This blend can be used on all types of infectious skin diseases and skin rash. To use, pour two drops in the center of a small gauze strip and place the treated gauze strip on the sores. Use some paper first aid tape on the sides to hold the gauze in place. Alternatively, you can use breathable cloth first aid tape. Change the band-aid every 5-6 hours. Mix the oils in a small glass bowl and set the blend aside for a few minutes. Assuming that you already have two cups of warm water on hand, remove it into a large bowl and stir in the salt. Once the crystals dissolve, add the oil blend to the solution and mix vigorously. Soak some cotton wool or a small piece of gauze in the concoction, Wring lightly and apply it directly on the sores/blisters. Hold the warm fabric/piece of cotton wool in place till it cools, then repeat. Mix the oils and store in an amber glass bottle. Use this blend after the sores have ruptured and a scab has formed in their place. Apply after cleaning the area with antiseptic liquid and do not cover with bandage. 1 clove of garlic / ½ clove if using on a baby below the age of 1 year. Put the herbs and the garlic in the blender with the honey and puree. Remove the mixture in a bowl and warm in the microwave for a few seconds. You want it to be gently warm and not scalding hot. Add the EOs to this mixture and then apply in a thick layer on top of the sores/blisters. Use gauze covering to hold the herb mixture in place for about an hour. You can also use paper first aid tape if required. After an hour, wash away the herbal mixture and pat dry the treated area. Apply the band-aid blend (recipe 5) on the dried area if the child is above the age of 3 years. For younger children, use a blend made by mixing 2 tbsp of calendula infused oil with a drop each of ravensara and German chamomile EOs. Add the tea leaves, coriander seeds and the turmeric powder to a cup of water and place the mixture on heat. Boil and reduce to ¼ cup. Take the tea off the heat and allow it to cool to a gentle warm. Mix the oils together and set aside. Once the tea is at the desired temperature, add the oil blend to it and mix vigorously. To use, soak some cotton wool/gauze in the fluid, wring lightly and place on the blisters. Leave the cotton wool/gauze in place for about 5 minutes and repeat. Do this thrice and then pat dry the treated area. Each time before soaking give the mixture a good whisk, so that the oils get dispersed. Repeat treatment twice a day till the wound dries. Get all the kids and the adults in the household to bathe twice a day and wash their hands frequently. A child who is suffering from impetigo will have to be quarantined at least till the scabs fall off. Clean the sores/open sores/crusts 2-3 times a day till the scabs fall off and the wound appears to be drying. Limit contact of the other kids with the infected child. Wash all common toys, clothes and bedding with hot water and bleach. Cover the sores with a bandage to prevent the child from scratching and rupturing them. Clip the nails of the infected child and everybody else in the house, including the adult who is taking care of the child. Use a bandage to keep the infected area covered even after the sores have opened. Change and wash bed linens, towels and clothes that come in contact with the infected child every day. If an adult is suffering from impetigo, make sure that you do not share any personal items with the infected person. 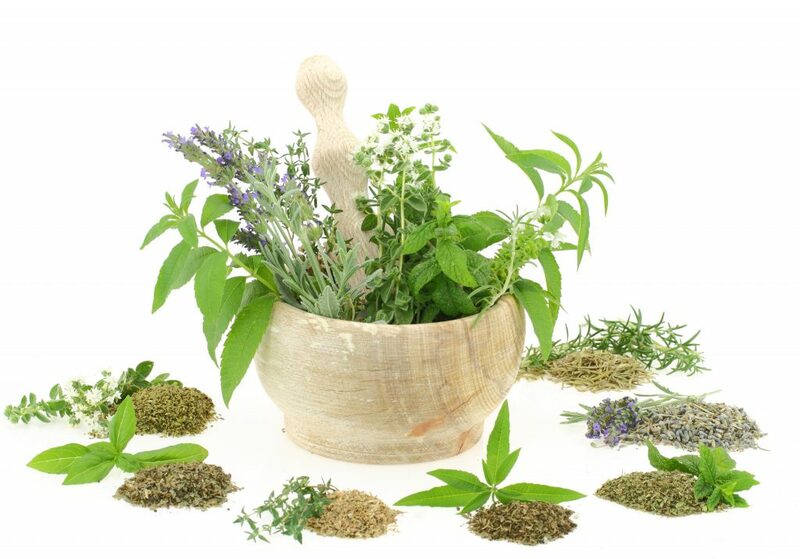 Herbs like echinacea, golden seal and plantain have long been used to treat skin ailments. These herbs can be used both internally and externally. So, mix some strong brewed Echinacea tea in your kid’s favorite fruit juice to bolster the child’s immune system from the inside. Add some golden seal and/or plantain herb powder to the tea once it has cooled and apply on the sores. Wash off after 15 minutes. If you don’t have the herbal powders, just dab some echinacea tea on the blisters to gain from its antimicrobial and anti-inflammatory properties. Viral and bacterial infections can also be treated with colloidal silver. A few drops of colloidal silver applied directly on the sores/blisters help to heal and dry up the infection faster. In fact, many users report conspicuous results within 48 hours of application. Honey, with its natural content of hydrogen peroxide, is known to help with all types of skin infections. Plus, it boasts of fabulous healing and skin hydrating properties. If you can get your hands on raw manuka honey, all the better. If not, add a drop of manuka EO to 3 tbsp of raw honey and the blend will be just as effective as manuka honey. Using honey to treat impetigo is as easy as applying it on the sores/blisters. Depending on the age of the child, you may have a hard time keeping the kid from trying to reach the honey with his/her tongue. So, I recommend that you mix it with herbal powders (either one of the three given above or neem powder). This will tone down the temptation to taste the sweet stuff, because the mixture will no longer be sweet, particularly if blended with the extremely bitter neem powder. 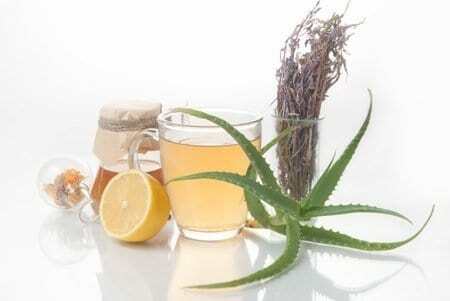 Plus, you will get more in terms of anti-inflammatory and antimicrobial benefits. The olfactory crimes of garlic can exclusively be attributed to its content of sulphur as can its ability to kill disease causing bacteria. The best part of using the flavorful bulbs is that they help with the infection as well as the pain and the itching. Garlic juice does sting if used raw and may not be suitable for the delicate skin of children. A safe yet effective option is to fry 2-3 cloves of garlic (minced or chopped) in sesame or virgin olive oil till they are a dark brown. Filter the oil and apply directly on the affected parts twice a day. Do not store the oil for more than 2-3 days. It is imperative to keep kids, who are in throes of impetigo, away from sugar. In fact, try to reduce the intake of both refined carbs and sugar as much as possible. Zinc rich food items like beans, whole grains, nuts and fresh green veggies and colorful fruits will without a doubt boost the body’s ability to heal itself. Impetigo is known to cause other health complications yet people often wait for the ailment to run its course. Consider this – Impetigo bacteria are not supposed to survive on your skin for more than a couple of hours under normal circumstances. But in case of an impetigo infection, they manage to thrive for 10 days and more. We don’t know what causes them to behave this way nor does anybody have a clue about the factors that lead to their unusually long life span. But, it would be safe to assume that if these critters can change their behavior so markedly on one front, they can pull off an irregular act on other fronts as well. So, play it safe and act aggressively to defend your child or even yourself from the attack of these germs. The best part is that with EOs and natural remedies, you can prevent and treat the infection without worrying about side effects. So, why let the bacteria have their way when you can kick them to the curb? And on that note, here is wishing all you mommies and daddies an impetigo free household! Excellent post! Thanks, so much! Is it possible to remove moles with EO’s ?